Dan Barnett is a founder and principal of Blue Ridge Development, LLC and serves as the company’s President and Principal Broker. Since founding Blue Ridge Development in November 1996, Dan has been involved in the development of office, retail, residential, and industrial projects totaling over $153.6 million. Notable projects include the development of Lakeside Centre, a 258,000 square foot office park, and Brookview Town Centre, which includes a 195,000 square foot office building and 28,000 square feet of retail space. Redevelopment projects include the Jewelry TV headquarters of 140,000 square feet, Cross Park Plaza of 141,000 square feet and Brookvale II of 61,000 square feet. 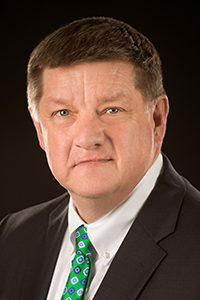 Dan received his Bachelor of Science in Industrial and Systems Engineering from Georgia Institute of Technology and his Masters in Business Administration from the College of William and Mary.